Try a Tasty Kashi Sample on us! Want to help your kids eat better? Request your free sample and take the 2-bite test! Love these! Head to TOMS.com for new fall styles! Click on above banner to get any two 2011 Entertainment Books for only $10 (that's just $5 a book) plus low $1 shipping! This offer is only good through July 31, 2011. Remember, all 2011 book coupons are good through November so there's still quite a bit of time to save! Head HERE to print coupons for Hatfield meats. Free Appetizer or Dessert @ Chili's on July 27th! Get your coupon now. On July 27th, get a FREE Appetizer or Dessert with purchase of an Adult Entree. Hurry in, this offer is for one day only. Click here to get your coupon now. I hope that NO ONE is paying regular price for their magazines! Today (7/26) only, BestDealMagazines.com cuts the price of a 1-year (15 issue) subscription toWoman's Day Magazine from $9.99 to $4.39 to $3.69 when you use code CHAT 16. ChildrensPlace.com drops all denim to $10 and up. Plus, take an extra 15% off your purchase with code H3E2011. Even better, all denim ships for free through 8/1. FamousFootwear.com is currently having a BOGO 50% offdot clearance items, which means if you buy one pair of shoes, you'll get a second pair for 50% off. Plus, code SCHOOL11 stacks to take another 20% off. Join the email of several chain restaurants to receive special coupons and offers! I just got one for 25% off my total bill at Ruby Tuesdays. Macaroni Grill...currently offering up to $20 for referrals to their email club. Boston Market...coupons almost every week. Outback Steakhouse...currently offering a $5 coupon in an email. 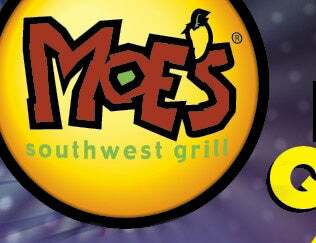 Moe's Southwest Grill...expect an extra coupon at your birthday! Did you ever sign up for HOTPRINTS.COM? I need to download some of my summer vacation pictures into a free book. You? Free 2 year subscription to Bridal Guide here at valuemags.com. Everydaysource.com offers 3 Packs of Matte Photo Paper - 4" x 6" (60 PCS Total) for $0.00 + $3.87 shipping. You must sign in or create an account in order to use coupon codes.